Whether your wedding officiant is your life-long pastor or if you have to hire someone to perform your ceremony, there are 12 basic questions that you'll want to make sure you ask so your wedding ceremony goes off without a hitch! Is premarital counseling required? Many religious venues require a certain number of premarital counseling sessions with your officiant. Be sure you ask this question first and get them scheduled so you are sure you can complete all required session before your wedding date. How long is the basic wedding ceremony? This is important to know for several reasons. If you are adding personalization into your ceremony (readings, custom vows, or vocalists) this will add time to the length of the ceremony. If your ceremony venue is a popular one, it may be booked for another wedding after yours. You also need to let your reception venue know when they can expect your guests to arrive. Can a unity candle or unity sand be included as part of the ceremony? 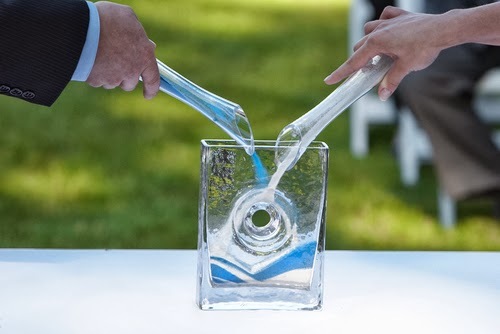 Most outdoor venues will recommend a unity sand ceremony so you don't have issues with the candle flames. If you will be including one of these traditions in your ceremony, find out if your officiant provides the verbiage or if you need to provide it. What is the fee or honorarium? Many ceremony venues don't charge an extra fee for the officiant, but a donation may be appropriate. If you've had to hire an outside party to perform the ceremony, there will typically be a fee involved. Things like travel expenses, meals or even speaking at the rehearsal dinner may incur an additional cost. Be sure you ask! How many meetings will we have about the ceremony and who needs to attend each? Outside of any premarital counseling required, you may need to have one planning meeting with the officiant at the venue, plus the actual rehearsal itself the day before the wedding. Make sure you are clear on the meetings/rehearsal required and who needs to attend each. How many other weddings are you performing that day? How do you handle it if one runs long? 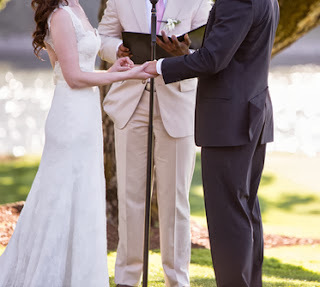 You'll want to know if your officiant is performing other weddings that day, especially if they are scheduled at a different venue. Consider asking if there is a backup plan in the event of an emergency, as well! How can we incorporate children into the wedding ceremony? Whether they are your own or family members, very often children of different ages can be incorporated in different ways. 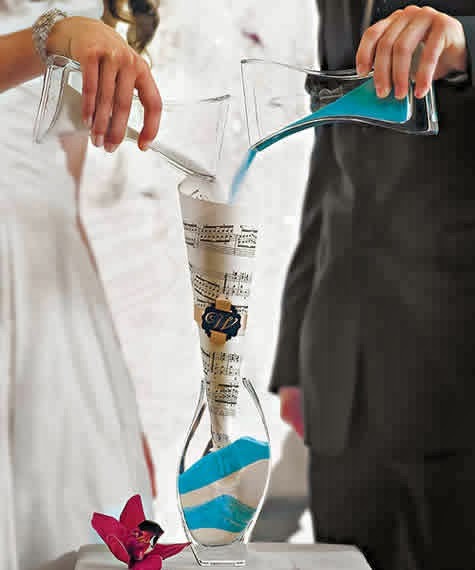 Most officiants have performed hundreds of weddings, so use them as source for creative ideas! Do you allow pets to be part of the ceremony?If pets are part of your plan, be sure to discuss this with your officiant (and the venue) ahead of time. Also, make sure you assign an official pet handler for the day. Are there any apparel restrictions?Some traditional religious ceremony venues will not allow bare shoulders, very low cuts gowns, or short gowns. Be certain you are clear on any restrictions your venue or officiant enforces. Are there any decor restrictions?If you are planning on rose petals, bubbles, a dove release, candelabras, a personal aisle runner, pew floral arrangements, or any other decorative added touch, make sure you have cleared it with your officiant and the venue ahead of time. As an example, many ceremony venues don't allow fresh rose petals to be scattered because the oils can stain the floor. When do you sign the marriage license? Some officiants sign it before, while others prefer to sign it after the ceremony. Some couples like to incorporate the signing of the marriage certificate into the actual ceremony! This is your legal document, so whatever your preference, just make sure you've coordinated it. These are just a few of the many questions you will probably have for the person who will have the honor of performing your ceremony, but its a good start and it hits the important elements! Good luck with planning your special day!